March jobs growth was solid, while wage growth exceeded 3 percent. Weak PCE growth will likely cause the Fed to pause on rate hikes. Financial markets could melt up over the short term. Avoid cyclical names and highly-indebted names. These stocks could tumble on poor earnings and cash flows. How long can economic expansion continue? 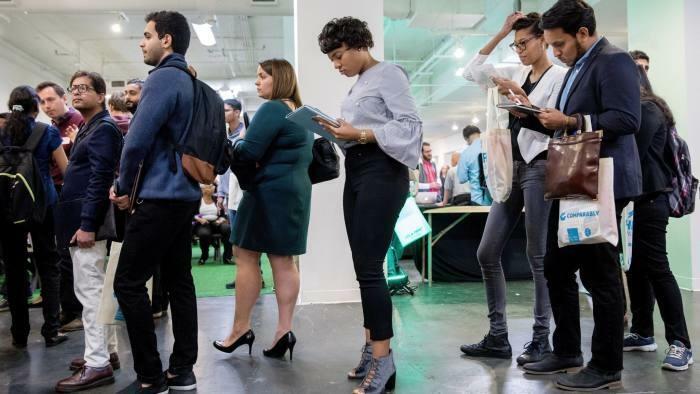 The March 2019 jobs report implies the economy remains on solid footing. Total non-farm payroll employment increased by 196,000, exceeding the 177,000 economists were expecting. The increase widely surpassed the 33,000 jobs created in February and could imply dismal jobs growth during that month was an anomaly. Healthcare employment led the way, rising by 49,000. Employment in professional and technical services was up 34,000, driven by jobs in computer systems and architectural and engineering services. Employment in food services and drinking places was up 27,000. I assumed employment in this sector would subside after the holidays; however, the sector is still going strong, which could indicate that the public expects the good times to last for a while. Ebullient activity in food services and drinking places could mask the economic malaise ahead, but I have been saying that for a while now. The unemployment rate was 3.8 percent, the same as March. Unemployment remains well below the 5.0 percent rate considered for full employment. Unemployment this low should empower workers and potentially give them leverage to demand higher wages or switch jobs. This has been a strong selling point for President Trump and he will likely trumpet low unemployment if he seeks re-election. Average hourly wages were $27.70, up by 4 cents versus the previous month. Wages grew 3.2 percent over the past year. Robust wage growth is another sign the economy is strong and implies the average working is benefiting from the economic boom. In the past, wage growth at or above 3.0 percent created volatility in financial markets and questions over inflation and future rate hikes. Nonetheless, financial markets have been relatively unchanged since the jobs reports came out. The labor participation rate was 63.0, practically unchanged over the past year. It is still relatively low in comparison to historical periods. There are nearly 96 million people outside the labor force, which I find rather alarming; it paints a different picture than the low unemployment rate and could partially explain the angst certain investors and economists feel about the economy. Federal Reserve Chairman Jerome Powell has consistently claimed the Fed was independent and was not influenced by the president. President Trump's economic advisor, Larry Kudlow, openly called for the Fed to cut rates by 50 basis points. Kudlow's wish flies in the face of the notion that the economy is on strong footing. A rate cut would come off the heels of a tax cut implemented in 2017. If the economy is so strong, then why would there be a need for more stimulus? The Fed recently suggested the target range for the federal funds rate could shift in either direction. Based on future economic data, the target could increase or decrease. I interpreted these comments as dovish, particularly after earlier commitments to slowly hike rates off of historic lows. Secondly, the Fed wants to achieve 2% growth in core PCE (PCE ex-food and energy), which it uses as a measure of inflation. Core PCE grew 1.8 percent Y/Y in January. It was below the Fed's target and the slowest pace of growth since February 2018. If the Fed is to remain data-dependent, then it would imply core PCE below 2 percent would warrant a pause on rate hikes. Weak PCE growth combined with a constant drumbeat from President Trump and Kudlow could practically force Powell's hand. That said, I do not envision a rate hike any time soon. Jobs growth and wage growth remain solid. Weak PCE growth could force the Fed to pause on rate hikes. In the short term, financial markets could continue to melt up. Long term, stocks could finally trade on earnings fundamentals. Investors should continue to avoid cyclical names and highly-indebted companies that may find it difficult to service debt.